Belo Horizonte is a vibrant and effervescent city that is fully prepared for the transformations that modern society demands. It is an innovating city that is sophisticated in the provision and quality of services, and it offers a great variety of attractions, leisure and entertainment options. Two of the oldest cities in the state of Minas Gerais and located in one of the main areas of the Brazilian Gold Rush, the cities were designated a World Heritage Site by UNESCO because of their outstanding Baroque architecture. Inhotim is a botanical garden and contemporary art museum located in Brumadinho founded by former mining magnate Bernardo Paz. It boasts two dozen art “pavilions” which include more than 500 works by noted Brazilian and international artists. The cities are acclaimed as an unspoiled example of colonial architecture. This heritage is preserved in the sculptures created by Aleijadinho and in a narrow gauge railway reminiscent of the late nineteenth century. 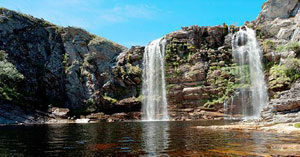 especially rugged relief, unique scenic beauty, countless waterfalls and one of the most diversified floras in the world. The region has a vast collection of places for leisure, outdoor activities, and scientific research. One of the most famous caves in the state of Minas Gerais. Discovered by the Danish naturalist Dr. Peter Lund in 1834, the Maquiné Cave has huge halls open to public visitation within its 650 meters of extension. 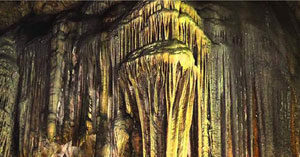 It is considered the cradle of Brazilian paleontology and one of the most beautiful caves in the world.